I like to collect some pretty unusual items to hopefully incorporate into my decorating or craft projects one day. Whatever happens to catch my eye, I like to pick up for future use. My husband also happens to have this trait so you can just about imagine what our garage and storage areas look like! The nice thing about this though, is that when we do come up with an idea, we usually have a decorative piece that you won’t find in a hundred other homes. I don’t know if this is a good or bad thing but it does make us happy so I guess that is what really matters! This collection of DIY bud vases use some unique finds to make a bud vase. 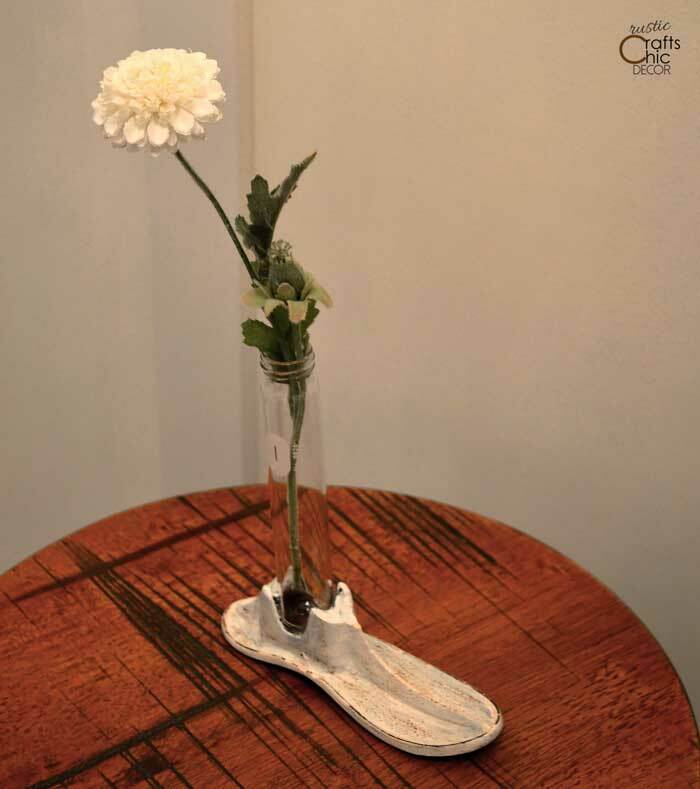 This first bud vase is made from a test tube and vintage metal shoe mold. My latest project, if you can call it that, was a funky little bud vase. It was really just a matter of combining two of my funky finds together, a glass test tube and a rusty spiral coil. The only work that I had to do was to wash the coil and then coat it with an epoxy. This helped to seal it and ensures that none of the rust will rub off on anything. Here are some more bud vase ideas that I found that use a little bit of the unusual. 1. Light bulb bud vase by Apartment Therapy. 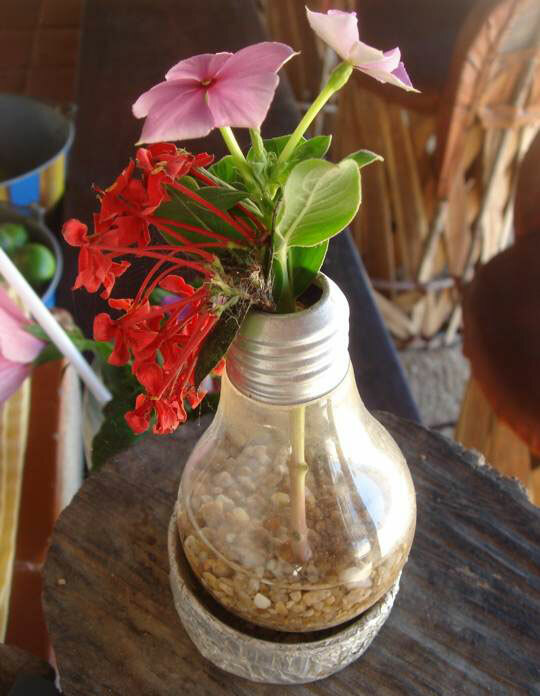 What a great way to recycle an old light bulb! I love the added pebbles at the bottom of the “vase”. 2. 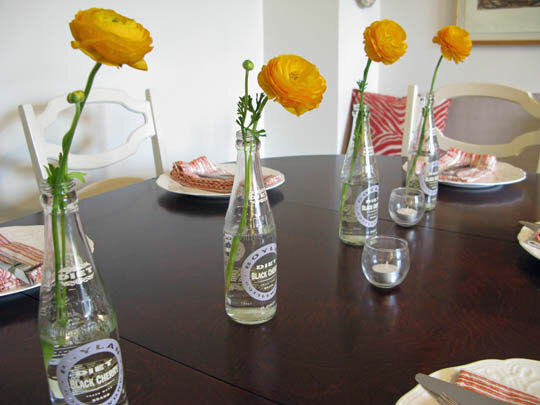 Soda bottle bud vases by Kitchen Cure. If you have ever been tempted to buy a bottle of soda just based on the look of the bottle, you will understand how cool it is to use the empty bottles as bud vases. They can add a lot of interest that you wouldn’t get from a plain glass vase. 3. 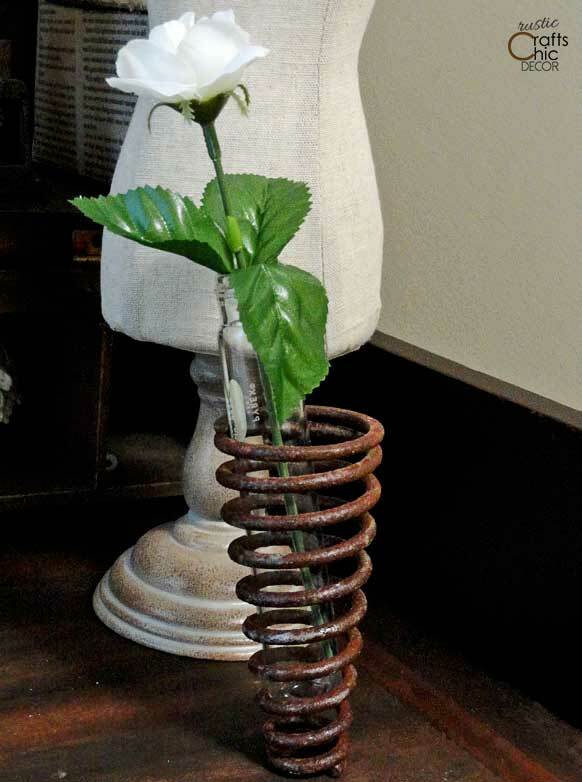 PVC pipe bud vase by Decor Advisor. 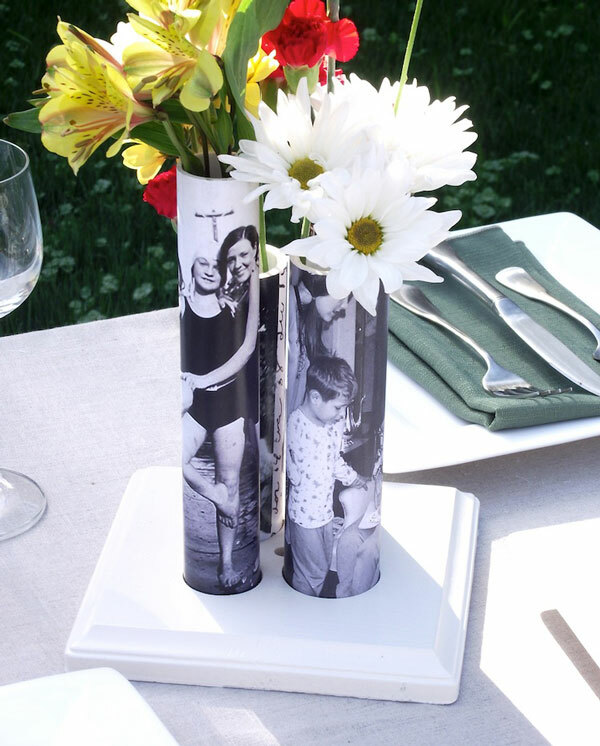 PVC pipe covered with fun photos is a super unique and fun bud vase idea! Do you have any unusual bud vase ideas that you would like to share? Just leave your ideas in the comments section below!